Don’t throw away those used jam and pickle jars. Give them a second life with Jarry. 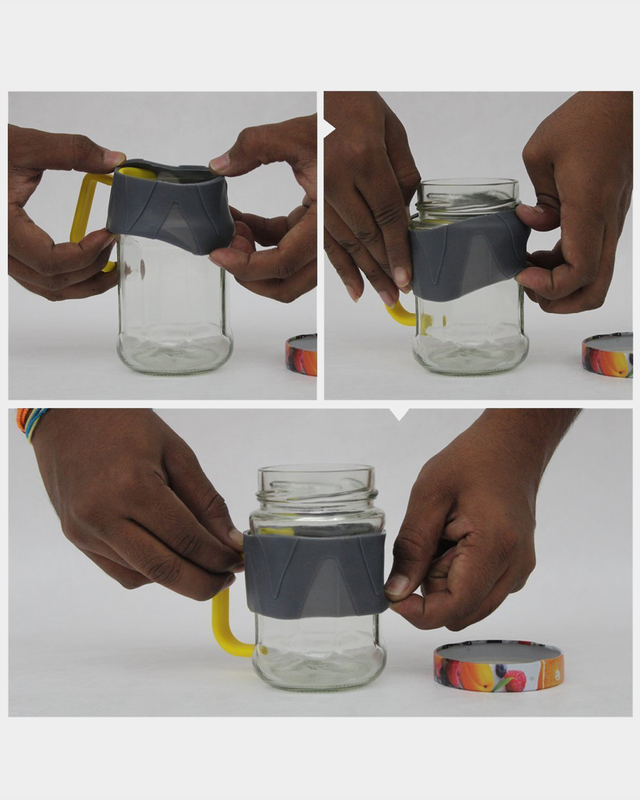 Up-cycle your used jars into trendy and cool coffe mugs. Better when shared and makes for an ideal conversation starter in parties. Team up your Jarry with jars of different shapes and styles, to create mugs for every mood, every occasion, and everyone in the family. At gemklip.com we believe in sustainability and creating products that work towards it. 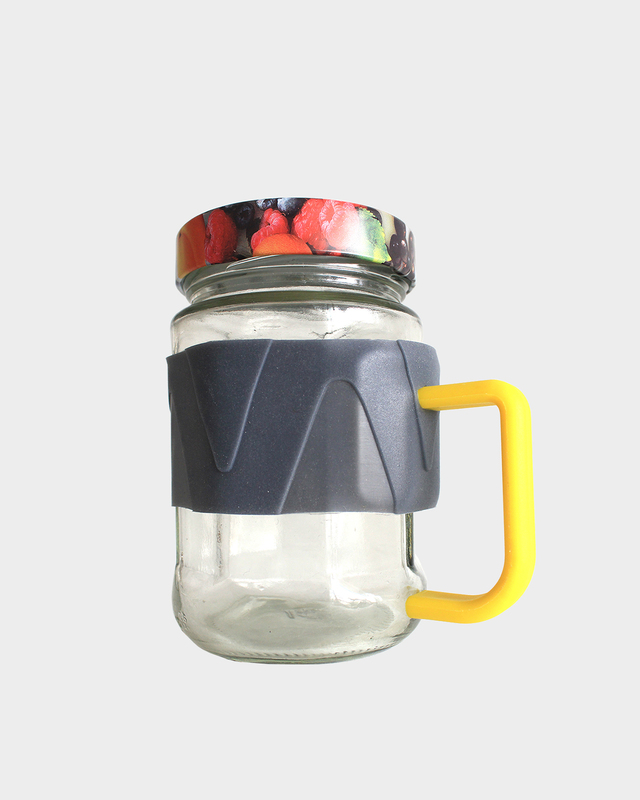 Meet Jarry – A Simple product that can up-cycle your old and unused jam and pickle jars into trendy and cool coffee mugs. So now, you don’t have to throw away those cool looking coffee jars anymore. It’s super fun to come up with ideas for funky and quirky products. But to come up with one which doesn’t just appeal to you at an emotional level but also from the functional point of view is quite the challenge. Jarry, we believe, does both. 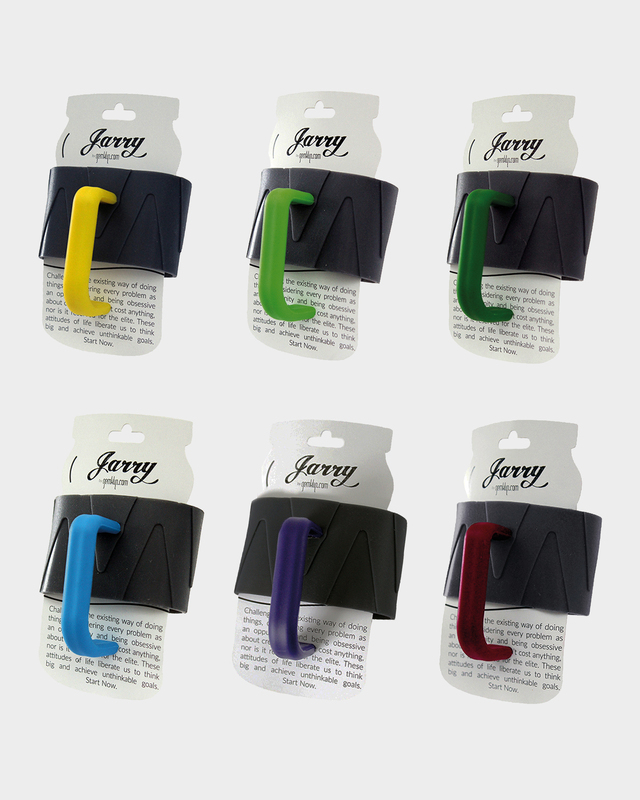 Jarry is a simple silicone band with a plastic handle that can be fastened over most jars. 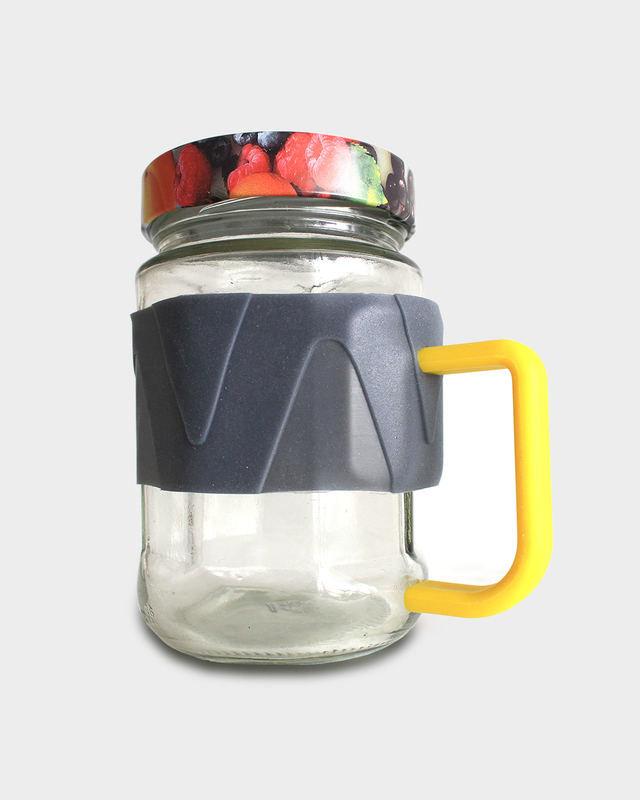 Simply insert the plastic handle in the silicone band and stretch and slide it over your jar. And Bam! your cool coffee mug is ready. Also, it comes in six attractive colours so you can pick one up that just suits your taste. Show your love for the planet by picking up a Jarry now! Click here to know how Jarry was developed. Also, don’t forget to click on the video below to see some of the cool and amazing things you can do with the Jarry! Handle: Food grade ABS plastic.